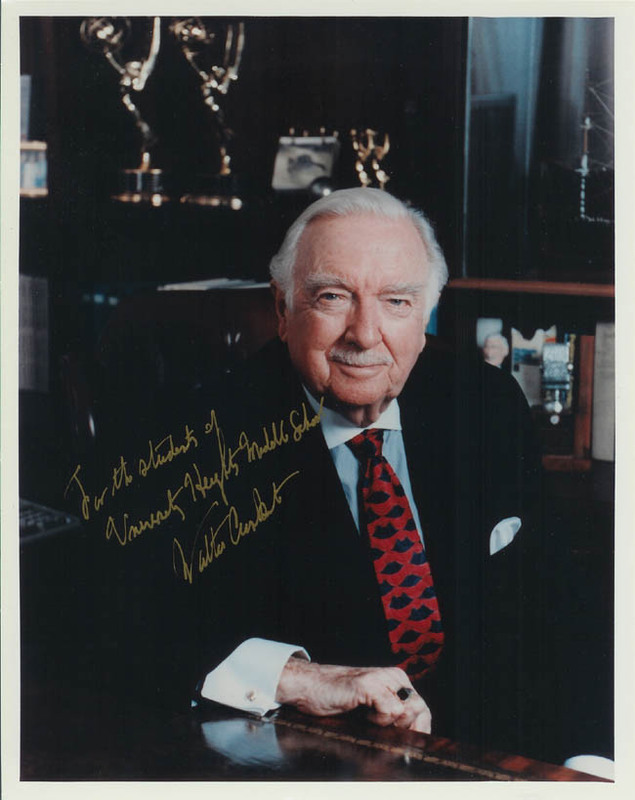 Walter Cronkite retired from his News Anchor job with the "CBS Evening News" long before any of my students were born. However, Walter shows up on TV, in films and narrates often enough that my students are familiar with him. It is not too-high praise to say that Mr. Cronkite is the most respected and trusted newscaster ever. Even my toughest students seem to respect that.